Alfred Adler was an Austrian doctor and therapist who is best-known for forming the school of thought known as individual psychology. He is also remembered for his concept of the inferiority complex, which he believed played a major part in the formation of personality. Alder was initially a colleague of Sigmund Freud, helped establish psychoanalysis, and was a founding member of the Vienna Psychoanalytic Society. Adler's theory focused on looking at the individual as a whole, which is why he referred to his approach as individual psychology. Adler was eventually expelled from Freud's psychoanalytic circle, but he went on to have a tremendous impact on the development of psychotherapy. He also had an important influence on many other great thinkers including Abraham Maslow and Albert Ellis. Alfred Adler was born February 7, 1870. He died May 28, 1937. Alfred Adler was born in Vienna, Austria. He suffered rickets as a young child which prevented him from walking until the age of four. Due to his health problems as a child, Adler decided he would become a physician and, after graduating from the University of Vienna in 1895 with a medical degree, began his career as an ophthalmologist and later switched to general practice. Alder soon turned his interests toward the field of psychiatry. In1902, Sigmund Freud invited him to join a psychoanalytic discussion group. This group met each Wednesday in Freud's home and would eventually grow to become the Vienna Psychoanalytic Society. After serving as President of the group for a time, Adler left in part because of his disagreements with some of Freud's theories. While Adler had played a key role in the development of psychoanalysis, he was also one of the first major figures to break away to form his own school of thought. He was quick to point out that while he had been a colleague of Freud's, he was in no way a disciple of the famous Austrian psychiatrist. In 1912, Alfred Adler founded the Society of Individual Psychology. Adler's theory suggested that every person has a sense of inferiority. From childhood, people work toward overcoming this inferiority by asserting their superiority over others. Adler referred to this as 'striving for superiority' and believed that this drive was the motivating force behind human behaviors, emotions, and thoughts. Today, his ideas and concepts are often referred to as Adlerian psychology. While Adler had converted to Christianity, his Jewish heritage led to the Nazi's closing down his clinics during the 1930s. As a result, Adler emigrated to the United States to take a professor position at the Long Island College of Medicine. In 1937, Adler went on a lecture tour and suffered a fatal heart attack in Aberdeen, Scotland. His family lost track of his cremated remains shortly after his death and the ashes were presumed lost before being discovered in 2007 at a crematorium in Edinburgh, Scotland. In 2011, 74 years after his death, Adler's ashes were returned to Vienna, Austria. In an interview with The Guardian, his granddaughter explained, "Vienna was essentially Adler's home, his birth home and there was the triangle, you know, Adler, Jung and Freud, and all had that sense of coming out of that place, so there's something rather fitting about him going back there." Adler, A. (1925). The Practice and Theory of Individual Psychology. London: Routledge. Boeree, C.G. (1997). Alfred Adler. Rattner, J. (1983). Alfred Adler. New York: F. Ungar. Carrell, S. (2011). 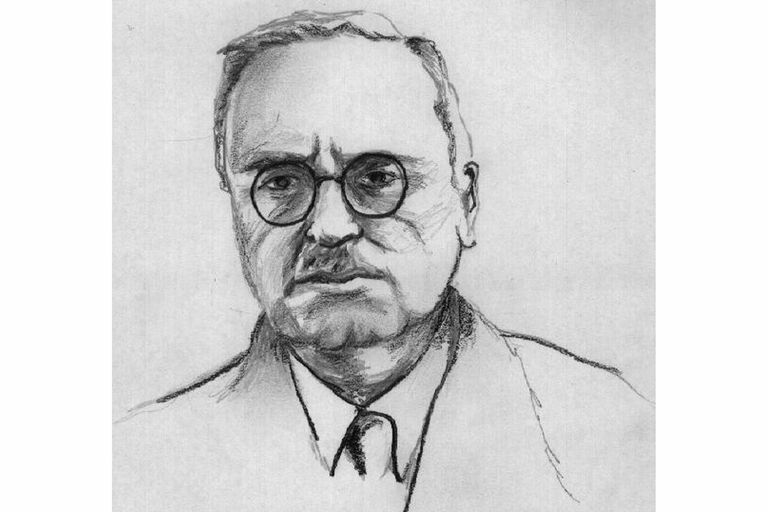 Ashes of Psychoanalysis Co-founder Alfred Adler Found After 74 Years. The Guardian.